On June 21st 2011 – the solstice (one of the four most important days of the Sun’s apparent journey around us, the year), Mars enters the area of the tropical zodiac known as Gemini. The coincidence of solstice with Mars Gemini ingress is rare and last occurred in 1932. This though is only part of the story; as Mars transits Gemini, Saturn continues its slow move through Libra, repeating patterns from 1953 and 1983. 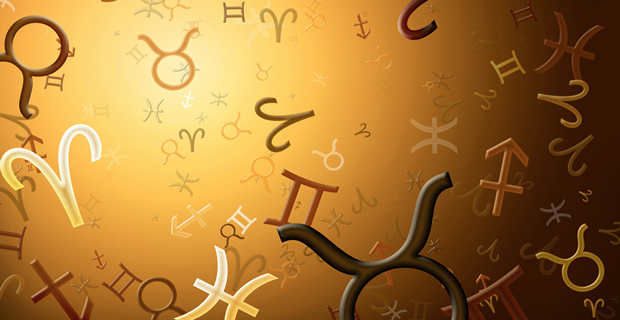 Of these years, the former is interesting as it was in 1953 that Jupiter moved through Taurus – as it does in June 2011. In 1953, the Dow Jones Index lost 7.5%. History shows that the presence of Mars in Gemini, Jupiter in Taurus and Saturn in Libra is an astro-feature of recession. This pattern occurs every 60 years. It is probable then that the summer of 2011 – especially from the solstice through to Mars’ Cancer ingress in early August will prove economically trying. Those experimenting with Market Analyst’s Astro module may not be aware that countries have start (Natal) dates. The remarkable work ‘Book of World Horoscopes’ by Dr Nicholas Campion lists the key dates for every country in the world. Using this data it is possible to monitor the economic fortunes of geographical areas and to see the trading links between them. Using a start date of July 4th 1776 for the USA, Saturn is found mid-Libra. In 2011 Saturn returns to this area of the zodiac, coinciding with Pluto’s opposition to the 1776 position of Jupiter. This latter angle might be termed a ‘gambler’s curse’ in that Jupiter-Pluto harmonics are often present when finances are over-stretched. This configuration in an individual’s chart suggests money madness and obsession to the point of betting the ranch. This aspect alone suggested that the US dollar would be under considerable strain in 2011. With the Saturn factor added in, we may deduce that the dollar will be under intense pressure. The 29 plus year cycle of Saturn through the zodiac offers fascinating study. History shows that when Saturn returns to the position held in July 1776 or is an eighth harmonic aspect to it, then there is marked reaction in dollar trading. In particular, as Saturn reaches 14 degrees Libra, the US dollar – British pound relationship reaches a turning point. The most recent examples are December 3rd, 2010, March 23rd 2011 and, still to come, August 28th 2011. Viewed from the sterling perspective, it is Saturn’s transit to the UK lunar node position (not its original Saturn position) which has the more marked effect; as Saturn moves into position relative to this point, then sterling rises against the dollar. (A key date for the United Kingdom is January 1st, 1801. Analysis of the planetary configuration of that day shows the lunar node to be mid-Libra – not too far from the US Saturn. The trading connection between the two countries is easily seen through this Saturn-Node connection.) There is high probability that sterling will advance against the dollar in late July as these sensitive mid-Libra degrees are geocentrically transited by Saturn. The Euro too has its sensitive degree area, namely the very early part of Libra. Using the Euro’s ‘champagne moment’ when it was birthed in Frankfurt, Germany, at midnight EET time on January 1st 1999, we find an early degree of Libra on the horizon. The fragility of the Euro became apparent as Pluto arrived at right-angles to this degree in 2009. In the summer of 2011, and coinciding with the planetary positions listed earlier, Uranus opposes these early Libra degrees. Each planet has its own particular character. Traits associated with Uranus are ‘volatile, disruptive, political, deviant and rebellious’. Forex traders may find that the period between the coming solstice and next Equinox offers a wild ride. It is worth noting too that it seems to be the case that as Venus moves from one sign to another there is a change of pulse in Euro trading with reference to both sterling and the US dollar. Since 1999, as Venus moved through Leo (with the exception of 2005 and 2006 when Saturn was also transiting Leo), sterling has fallen against the Euro. A similar reaction is likely in 2011 when, if the pattern holds true, then sterling should fall against the Euro in the days following Venus’ entry into Leo on July 29th. Beyond Forex, the early part of August could prove volatile with regard to oil prices. It has been found that the 9 Leo is a sensitive area for oil. As Venus reaches this degree of August 5th, it will be at exact right angle to Jupiter. That same day Neptune (long associated with oil) slips back into Aquarius after four months of Pisces transit. It is likely that this will mark a significant price point. Then there is gold, which often responds to the Sun/Jupiter and Sun/Node cycles. Again, if past patterns repeat, then July 29th to August 1st should be a key period – though exceptional price moves are more likely after the September Equinox. Before this, there will be two solar eclipses (June and July 1st). In all there are four solar eclipses in 2011 – a feature of the year which itself suggests turbulent trading conditions. Two of the outer planets (Uranus and Neptune) change signs – again unusual and indicative of volatility. The Moon’s occultation of Mars on July 27th may serve as a marker for two weeks of extra-ordinary trading activity. Perhaps late July – early August is not the time to take annual leave, but is a time to utilise every available technique to surf what appear to be turbulent trading conditions.